This game gives you lots of fun things beyond the basic hangman games available out there - we guarantee ! 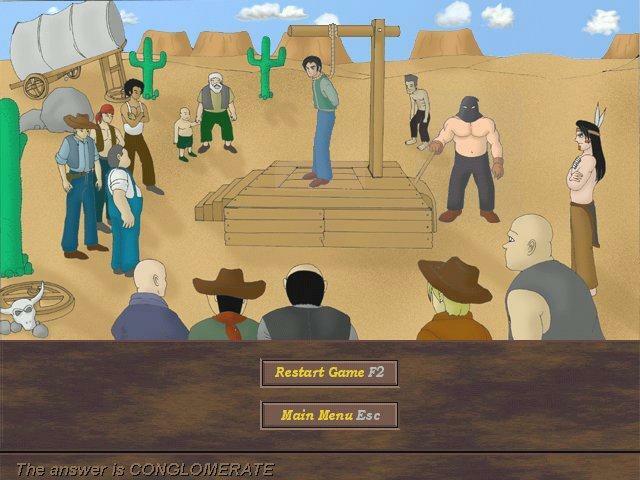 Ever heard of this Hangman The Wild West II game? If you're a hangman fan, then search no more! Even if you don't like hangman this time, you can give this one a try and see if it can change your mind. Keep reading. This game gives you lots of fun things beyond the basic hangman games available out there - we guarantee. Dead or Alive: only the strong survive, one mistake takes you to sudden death! General Mode: play with more than 17,000 words. Topic Mode: want to play with familiar words? Then this mode is for you. Special Items: Little Mouse, Lucky Horseshoe and Dynamite. Original western music and cool sound effects. The Executioner and Fire Squad punishments. 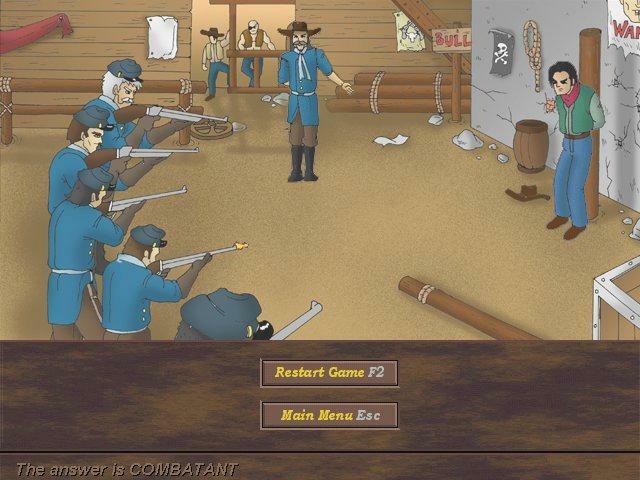 Combined with Action Game: fighting bandits! 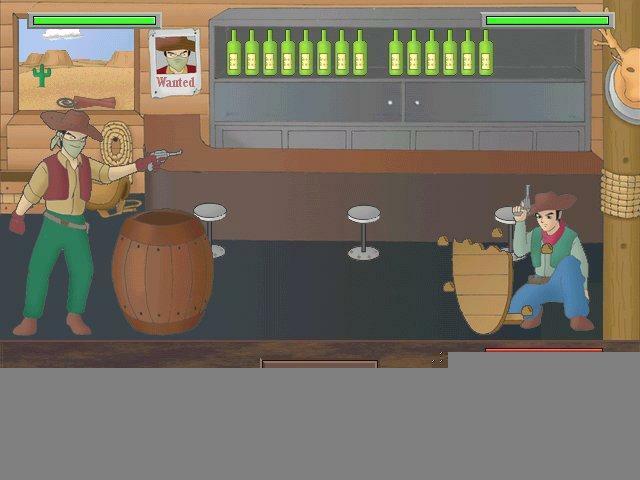 Game cheats: unlimited bullets and coins, stupid bandits and more! Balloon Blast Game - Blast the groups of the same color ! Balloon Blast Game is a funny puzzle game for you ! Pharaohs' Treasure - Pharaohs' Treasure is a fast and addictive puzzle game. Pharaohs' Curse Gold - It is a Pharaoh game mixed with cool puzzle elements. Pharaohs' Puzzle - Arrows Puzzle - It is an exciting Pharaoh Game based on many old and forgotten games. 3D Pacman Game - is a promising marriage Pacman Game between the legendary arcade spirit and modern high-tech frills. JongPuzzle - It is the tile solitaire game similar on mah jongg.